Simon and Tom Bloor are Modernist artists from Birmingham whose work fuses smart technology with traditional hand made practices referencing to play, creativity and the environment. Simon and Tom include exhibitions and projects at South London Gallery, Modern Art Oxford and Birmingham Ikon. 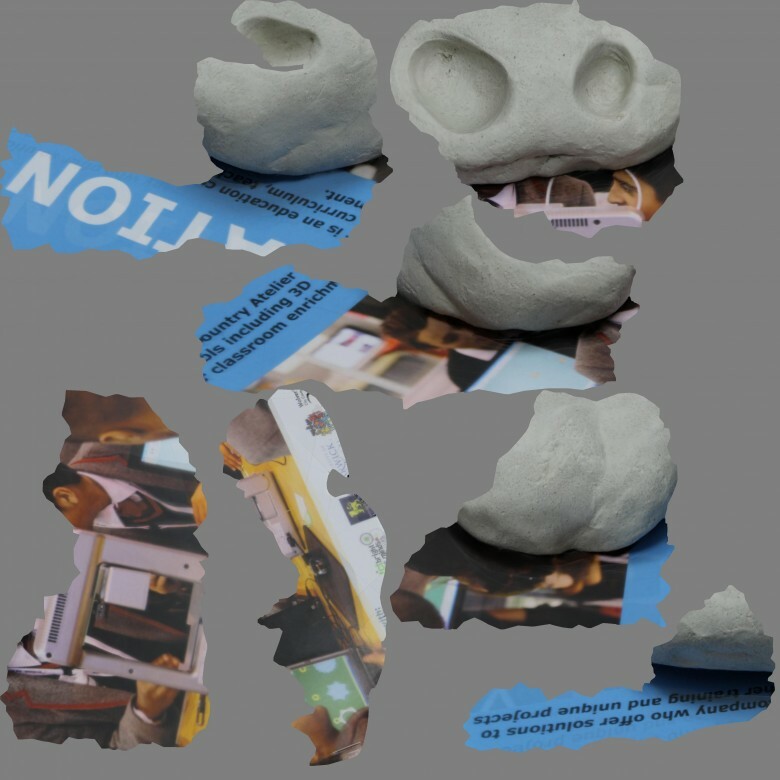 This week we’ve been talking to Simon Bloor about their work using 3d scanning, and their current project for a large-scale permanent public space art piece. 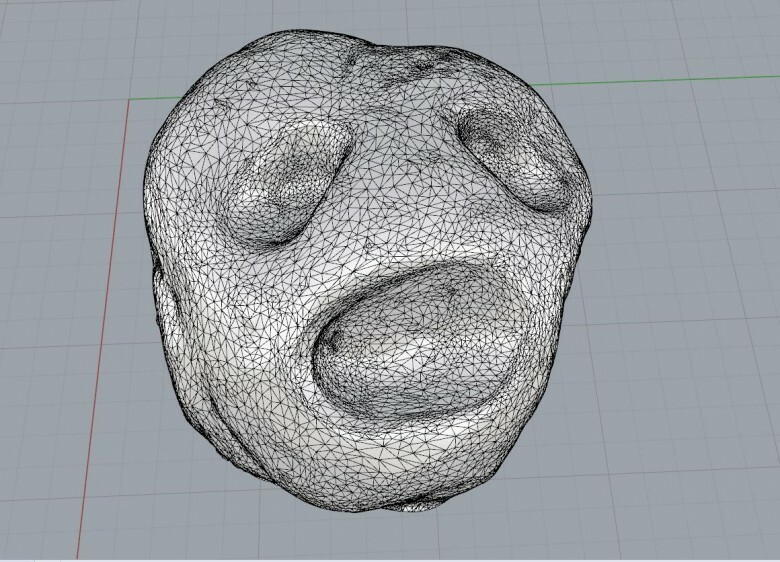 BCA: Can you tell us about your current 3d scanning art project? Simon and Tom Bloor: We wanted to make an enlarged version of a small clay sculpture that had been lying around in our studio for a couple of years. 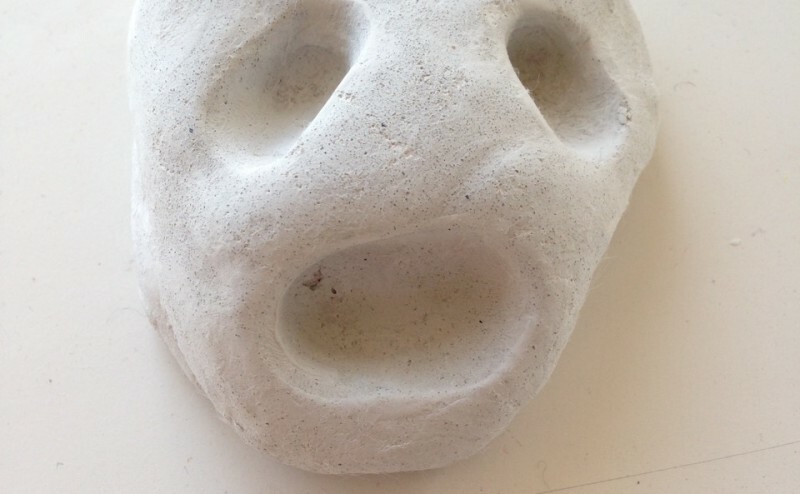 The sculpture was made by a primary school pupil during a workshop and by chance it resembled a skeletal face. 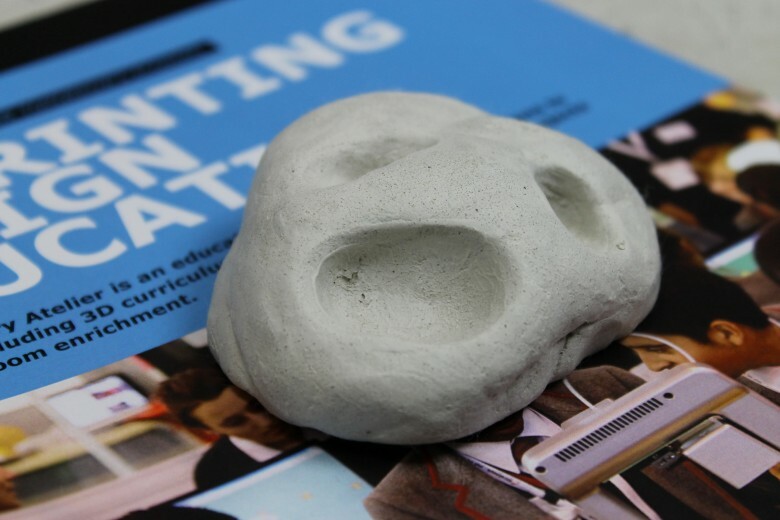 We wanted to make as direct a copy of the object as possible, enlarging it to produce a mould for casting. BCA: How has 3d scanning/ 3d printing helped your project? Simon and Tom Bloor: Achieving an accurate copy of the original object was important for the look of the final work, so scaling the object up in the traditional way would have been like making a drawing of a photograph rather than a scan. 3d scanning will allow the final sculpture to have a more direct relationship to the original object. BCA: What material have you used in your current project and why? Simon and Tom Bloor: We are going to get a silicon mould made (either 3D printed or from a 3d printed master) then we’ll cast the final sculpture in concrete. BCA: Where does your inspiration come from? Simon and Tom Bloor: We are inspired by Modernist artists and architects who worked in many disciplines, but we also take a great deal of inspiration from growing up in Birmingham. BCA: What advice would you give to young aspiring artists? Simon and Tom Bloor: Try to learn everything whilst you’re at art school–digital technology, traditional skills, industrial processes. Don’t limit your learning to the art studio–be a nuisance to other disciplines and learn from them! BCA: What do you think about BCA and what they are doing in education? Simon and Tom Bloor: BCA is a great resource to have in the West Midlands, where there has been such a rich history of innovation. Smart technologies are an inevitable part of the future of both industry and the creative sectors so educating people (both young and old) is essential.